Buenos Aires – As Pope Francis takes his place as the leader of the world’s 1.2 billion Catholics, his participation in Argentina’s US-backed ‘Dirty War’ is sure to come under increased scrutiny. From 1976 until 1983, Argentina was governed by a series of US-backed military dictators who ruled with iron fists and crushed the regime’s opponents, many of them students, trade unionists, journalists and leftists. Kidnapping, torture, murder by death squads and disappearances characterized this brutal ‘Dirty War,’ and many of the leading perpetrators, including two junta leaders and the military dictator Gen. Leopoldo Galtieri, were trained by the United States in kidnapping, torture, assassination and democracy suppression at the School of the Americans in Panama. As many as 30,000 people were killed or disappeared during this horrific period, and many children and babies were stolen from parents imprisoned in concentration camps or murdered by the regime. So exactly what role Jorge Bergoglio play in his country’s brutal seven-year military dictatorship? Bergoglio was also silent in the wake of Father Angelelli’s assassination, even as other leading Argentine clergy condemned the murder. He was quick, however, to hail the slain priest as a “martyr” years later in more democratic times. Bergoglio is also a proven liar when it comes to his personal knowledge of the regime’s atrocities. In 1977, the De le Cuadra family, which lost five members, including a pregnant woman, to state security forces, appealed to the Jesuit leadership in Rome for desperately-needed protection. According to the Associated Press, the Jesuits in turn urged Bergoglio to help the family. Bergoglio assigned an underling to the case, who returned with a note from a colonel stating that the slain woman, who like many other ‘Dirty War’ victims was kept alive just long enough so that she could give birth, had her baby given to a family “too important” to remove it from. The colonel’s letter is written proof that Bergoglio knew about the regime’s practice of stealing babies from its victims, yet the archbishop testified in 2010 that he had no knowledge of stolen babies until after the military regime fell. “Bergoglio has a very cowardly attitude when it comes to something so terrible as the theft of babies,” Estela de la Cuadra, daughter of Grandmothers of the Plaza de Mayo founder Alicia de la Cuadra, told the AP. Under Bergoglio’s later leadership as Archbishop of Buenos Aires, the church apologized for its abject failure to protect its flock. But he also refused to appear in open court to answer questions about his role in the ‘Dirty War’ oppression– twice, and when he finally did appear in 2010, his answers– some of which, like the denial of knowledge of stolen babies– left many human rights advocates extremely dissatisfied. 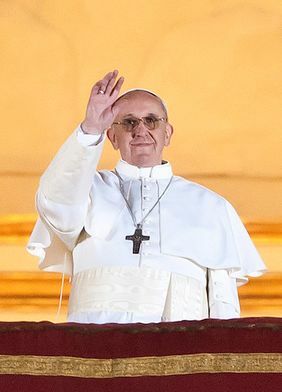 Tagged Archbishop of Buenos Aires, Argentina, Argentine Catholic church, Bergoglio; Father Angelelli's assassination; Fortunato Mallimacci;, De le Cuadra family, Dirty War', El Silencio, Father Christian von Wernich, Human rights attorney Myriam Bregman, Jesuit priests, paedopillia, Pope Francis. Bookmark the permalink.